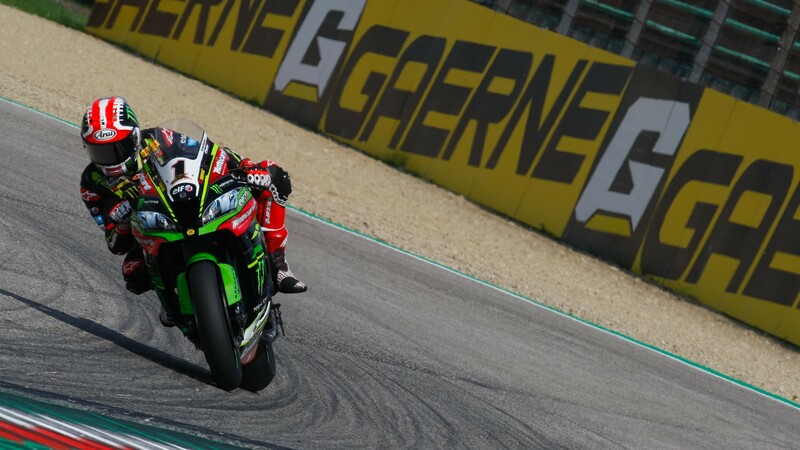 It was shaping up`to be a Free Practice treble by Jonathan Rea (Kawasaki Racing Team WorldSBK) at the end of the third session at the Autodromo Internazionale Enzo e Dino Ferrari di Imola. 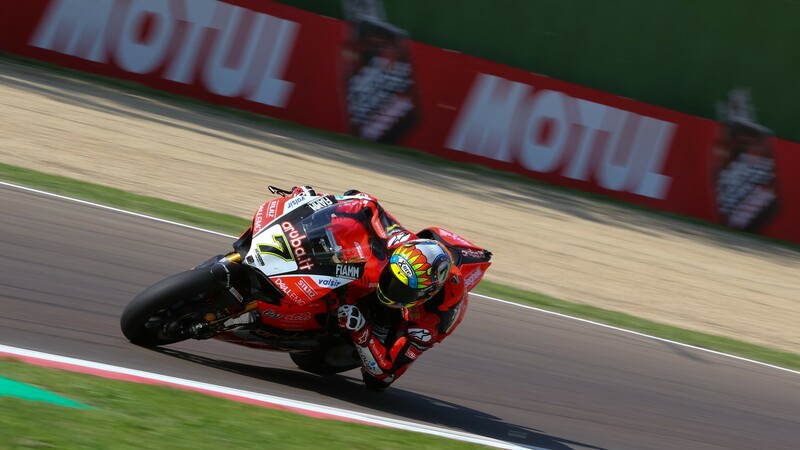 The leader of the MOTUL FIM Superbike World Championship had dominated the first two sessions, and was on course to taking the third, before a last lap by Chaz Davies (Aruba.it Racing – Ducati) left both men with the exact same personal best. Davies ran 51 laps over the three sessions, more than any other rider on track. But it was the last one, with Rea already off the bike and calling it a day, that shot Davies to the top, a 1’46.686 that perfectly matched his title opponent’s best time. Davies officially takes first place due to his second-best lap (1’46.737) being faster than Rea’s – by one thousandth of a second. The game of one-upmanship between the pair never ceases, even on Fridays. 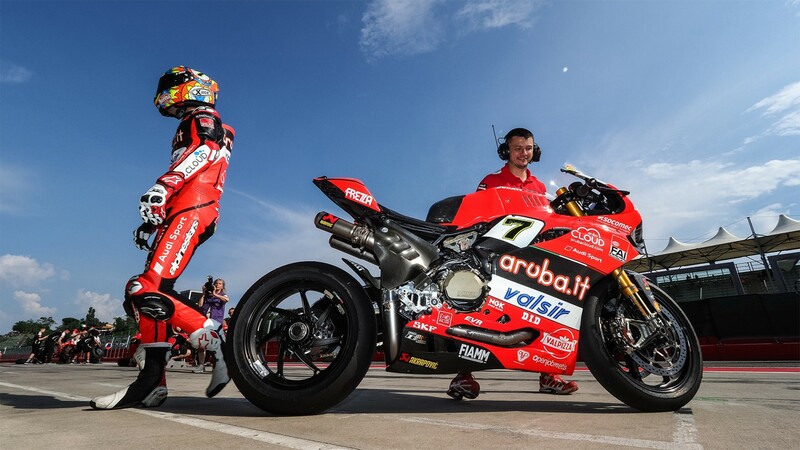 Behind the two Brits, Marco Melandri (Aruba.it Racing – Ducati) scored the third fastest time across all three sessions, 0.440 seconds off the leading pace. 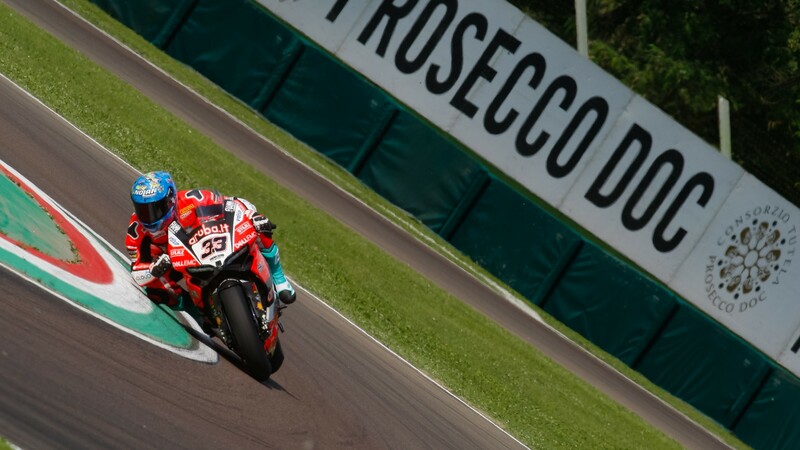 In fourth, Lorenzo Savadori (Milwaukee Aprilia) improved his FP2 time and proved that he is ready to push up with the Kawasakis and Ducatis. Michael van der Mark (Pata Yamaha Official WorldSBK Team) came in fifth for the day, with his teammate Alex Lowes (Pata Yamaha Official WorldSBK Team) unable to make it into tomorrow’s Superpole 2 directly, only scoring the twelfth best time. Tom Sykes (Kawasaki Racing Team WorldSBK) was one of only three riders unable to improve their FP1 and FP2 times, but it was still enough to slot him into sixth. Xavi Fores (Barni Racing Team), again the best independent rider out on track, had the seventh best time of the sessions, sixth for the late Free Practice. Leon Haslam (Kawasaki Puccetti Racing) made the best out of his WorldSBK return, coming consistently amongst the top 10 riders before, eventually, finding the pace to record the eighth best time of the day. Haslam, who throughout the weekend is paying tribute to his father Ron Haslam by wearing a replica of the former racer’s helmet, has shown little signs of rust and would be expected to put up a challenge in tomorrow’s Superpole. Behind Haslam, Jordi Torres (MV Agusta Reparto Corse) and Michael Ruben Rinaldi (Aruba.it Racing – Junior Team) completed the top ten who will go through to tomorrow’s Tissot Superpole directly. Eugene Laverty (Milwaukee Aprilia), amongst the fastest riders on track all throughout the day, could eventually only come in in eleventh when the dust had settled. 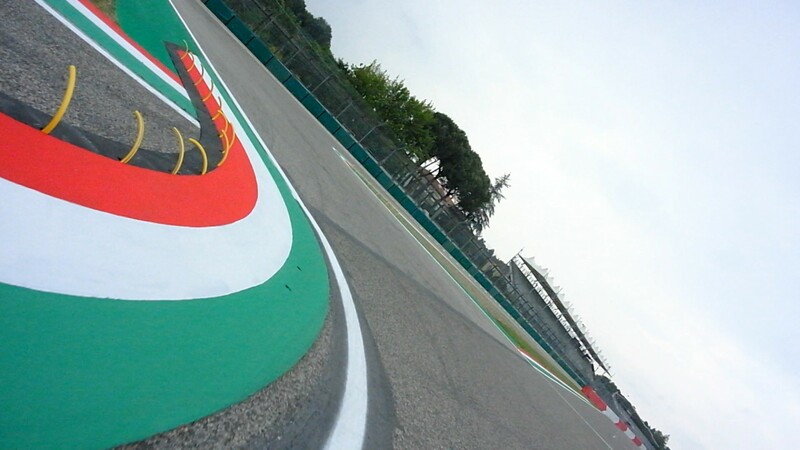 The Italian Round returns on Saturday with much more action, including the WorldSBK Superpole and Race 1! 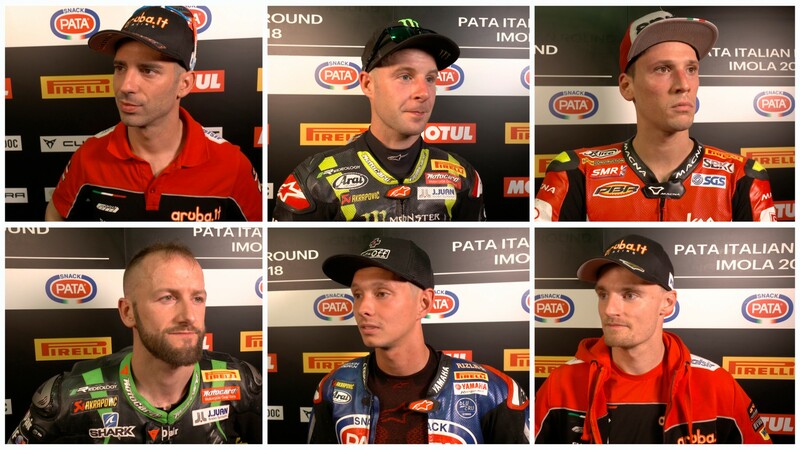 Catch all of that live, plus highlights, reactions and much more from today’s sessions, thanks to the WorldSBK VideoPass.